Call it distributive education or community-based learning. Either way, veterinary students want it and benefit from it, and so do affiliated practices. From left, Dr. Lisa Ebner and Class of 2020 veterinary student Leigha Jessie perform a physical exam at Lincoln Memorial University’s DeBusk Veterinary Teaching Center. Today’s educational consumers, especially those pursuing advanced professional degrees, are motivated to select colleges that meet their expectations and better prepare them for a career. And frankly, through access to data, technology and social media, these students are more informed in the decision-making process than ever before. You might ask, “What are those students’ expectations?” Well, a quality education is definitely on the list, but millennials and Generation Z’ers consider other things when choosing a veterinary college — factors such as social causes, personal wellness, hospitality, curricular flexibility, cost of attendance, geography, the “experience,” the overall value of the degree, hands-on learning and the ability to curate their own niche in veterinary medicine. Enter the distributive learning model. Pioneered by the medical profession nearly 30 years ago, this model places students in the trenches, delivering real-life, intense, in-your-face immersive practice during the curriculum’s final one or two years. 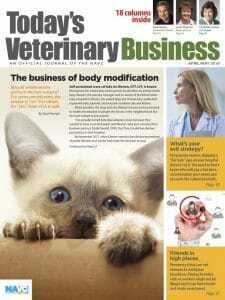 The model is fast gaining popularity in the veterinary profession and holds great benefits for the veterinary ecosystem. 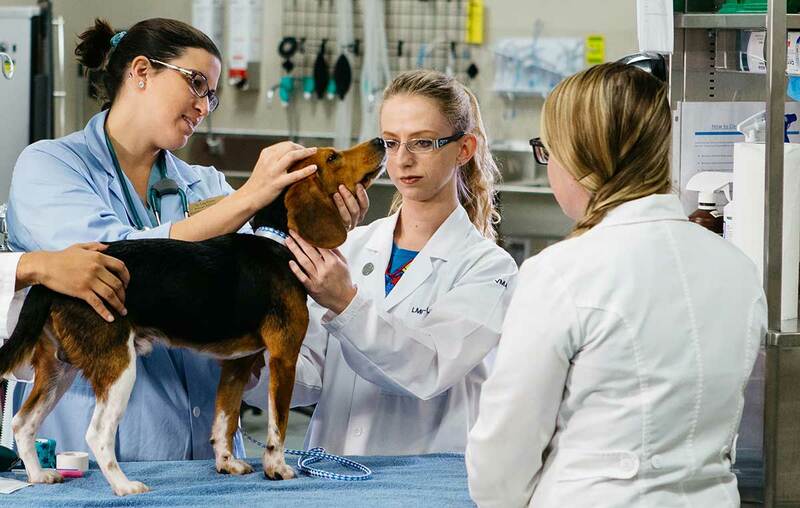 Many North American veterinary colleges provide some component of distributive education. Some deliver more real-world experiences than others. The full-on, immersive exposure over time that a full distributive model provides is the way of the future. So, what was the outcome of this educational approach in human medicine? The literature shows that students saw increases in the number of patients treated and procedures performed, received higher ratings from attending physicians in emergency medicine, had higher opinions of their learning experiences, and found greater connectivity with the community. Data reveals that institutions with distributive models graduate more primary care physicians who complete their residencies in rural areas. The institutions report that these physicians were more likely to stay in rural areas and practice, thereby advantaging the community and meeting societal needs. When the Western University College of Veterinary Medicine opened in 2003, it offered the first distributive model of veterinary education. (Kudos to Dean Shirley Johnston, the first female dean of a U.S. veterinary college, for championing this model in veterinary education.) Eleven years later, two new schools — Lincoln Memorial and Midwestern universities — tried their hand at it. All three colleges are unique in their own right, socioeconomically and in the degree of distributiveness, geography and curriculum. Lincoln Memorial duplicated the distributive model successfully used at its medical school, the biggest in Tennessee. Let’s turn back the calendar. It’s 2013 and the two of us — Drs. Lester and Johnson — and a handful of founding members of the Lincoln Memorial University College of Veterinary Medicine set out to launch the admissions process. I, Dr. Lester, am interviewing prospective students at what would eventually become the DeBusk Veterinary Teaching Center, now an outstanding 100,000-square-foot, technologically advanced pre-clinical teaching facility. LMU at that time could offer nothing more but the promise of an engaging experience. “So, why would you choose LMU?” I asked the young woman in front of me, a dynamite, 3.7-plus GPA, highly awarded student with an unreal leadership profile and super communication skills. And so it began, and it has not stopped. In fact, LMU’s application growth rate, only five years in, places Lincoln Memorial in the top 10 of all colleges of veterinary medicine. This year’s admissions pool topped 1,700 applicants. Let us share what we have learned and what we firmly believe. Immersion. Veterinary students want to be first in line. They want to touch the animal; it’s magic. They want to be hands-on. Flexibility. They want a senior clinical year in which they can take a large chunk of time to do rotations in their specific area of interest. For example, some might want extra equine, or four months of focused research blocks, or a string of surgical referral hospital rotations, or months of exotics rotations, or all mixed animal. The list goes on. Geography. They want to be close to family, friends or a significant other. Some know they want to return to their hometown. They want to explore. LMU has over 250 clinical affiliate partner sites, so where do you want to go? We can get you a curated experience close to home. Experience. Our students live for experiences. Take Airbnb. Who would have thought anyone would pay to sleep on someone’s couch? Diverse clinical rotations offer diverse experiences and new cultures in novel locations. Service. Many millennials and Generation Z’ers aspire to work for something greater than themselves. Working at a practice in Appalachia in an underserved location holds great appeal for some students. Verified experiences. Yep. Just like with Trip Advisor, electronic means allow the learner to rate the hospitals they visit and share with future students the perceived quality of the experience. A mission. Service to animals and people in diverse socioeconomic areas is important. Students identify with the distributive model’s flexibility. They can experience places around the globe. Community integration. This is one we didn’t know would come up until after we read all the data. Students dig into the communities in which they are placed for rotations, and they love it. A quicker path to a dream job. These students are, in effect, interviewing each practice where they spend time, and some stay on. They hone their interview and communication skills. Sheer number of cases. Veterinary students know that repetition brings competency and confidence. They want that. In fact, 87 LMU students collectively logged over 64,525 cases in the past year. Completing 957 rotations in 36 states, they each saw an average of 17 cases a week. Oversight and mentorship. Students recognize that they will work side by side with experienced, competent, successful veterinarians, many of whom are specialists. The students are not waiting behind a resident and an intern for the hands-on opportunity. New tools. Today’s learners embrace technology, which is leveraged to mentor and oversee students and improve education. Asynchronous electronic communication between the faculty member and student occurs regularly, strengthening each real-world learning opportunity and exponentially increasing the learning value of each clinical case. What are the effects, reported both in medical and veterinary medicine, of the distributive model? Team building. Students and clinicians report that they are learning teamwork, working hand in hand with veterinarians, nurses, residents and interns in diverse private practice settings. Quality outcomes. Technology enables colleges to collect quality outcome data regardless of geography. Learners don’t need to be piled into a central teaching hospital to get quality oversight and outcomes. In addition, data from these private practice experiences can be integrated with pre-clinical mapping, and adjustments can be made to create marketplace-ready graduates. Greater market value. The American Veterinary Medical Association’s 2018 new-graduate survey data showed that LMU students received more job offers per person than the national average, a higher national mean and median starting salary, and a higher mean and median signing bonus. We believe this is, in part, due to the immersive distributive model. More repetitions. Students in busy practices see more cases. Engaged clinical partners. This one is huge. Clinical partners — those who help educate our students — desire to be a part of the future of veterinary medicine, period. They have joined our curriculum and admissions committees and the Clinical Affiliate Advisory Board. They enjoy giving back to education, and they provide a real-time feedback loop to address any gaps in curriculum and training. New opportunities to take on leadership. Many corporate clinical affiliates have created ambassador programs in which students oversee a budget, do integrative visits and elevate their resume, communication skills and leadership profile. The practitioner. Veterinarians love having students around. Young minds invigorate and elevate the office and challenge the status quo. Sheer tempo. Private practices provide students with real-world, think-on-their-feet learning opportunities before graduation, better preparing them to begin their career running. Variety. The range of clinics in which students rotate afford the opportunity to learn various operational methods, different practice management systems, various pricing structures and different work cultures. All this produces a more informed soon-to-be practitioner. Confidence building. Any person who has practiced veterinary medicine knows that a clinic is an actual living organism with complex elements that bombard the veterinarian — from diagnosis, treatment plans, client communication, team building and surgery to phone calls, conflict resolution, product selection and life. This is the real training ground. Students experience it all. The interview. In reality, distributed learners turn each experience into a great opportunity for future employment, aligning students and employers philosophically, culturally and medically. Diverse patient mixes. We all know how a chasm can exist in private practice between the clinical presentations and treatment profiles. Strings of TPLOs can be achieved if the learner wants it, but diversity in clinical caseloads builds confidence to do the common things uncommonly well. Confident and competent is our motto. Diverse cost of treatments. These vary based on geography, socioeconomic status and practice. Distributed learners see it all and learn how to meet individual patient and client needs. Community engagement. Many students jump into local activities. Eventual placement. Some distributed learners like the experience so much that they end up settling there, many of them in rural places. Twenty-eight percent of students in LMU’s first graduating class went to work in Appalachia, a chronically underserved region. Platform for novel partnerships. Not-for-profit and private entities provide fertile ground for partnerships between colleges and partner institutions, leveraging each other’s innate strengths. Veterinary practices want to be part of the educational system. Veterinarians are smart individuals. Until now, no one asked them to really, really engage students eye to eye, day to day, in hand-to-hand combat at the level of the private practice and equip them to do so by teaching assessment and feedback skills. In order to implement the distributive model, academia had to be able to log and capture quality outcomes. Enabling technology is available and is all mobile. In fact, in the near future, technology will permit even more novel learning approaches. Virtual rounds, case studies and learning groups that professors, students and practitioners alike can easily join is but a push button away. Electronic portfolios that describe in detail the learner’s profile, including medical record SOAP examples, scientific articles, learning outcomes and evaluations by the learner and clinician are all readily available. Our students want this learning model. The learners of today and tomorrow desire to own their learning record, build a profile, select their clinics, curate their life, get hands-on with patients and give back to the communities. Veterinary medicine has the chance to expedite the rate at which we provide value to our students, clients and practices as well as to the scientific community and society as a whole. Providing curated learner-centric experiences that students select aligns with their career interests. Our sincere hope is that we continue to explore, implement and refine new models of delivering quality, outcomes-based education congruent with our veterinary mission and society’s needs. Dr. Bob Lester is chief medical officer of WellHaven Pet Health and a founding member of the Lincoln Memorial University College of Veterinary Medicine. He serves on the North American Veterinary Community board of directors. Dr. Jason W. Johnson is dean of the Lincoln Memorial University College of Veterinary Medicine.